Taking place in Budapest from 26-28 September, the members of Team UK will be taking on the best apprentices in Europe with the aim of being crowned champions in their chosen skills. Representing the UK in wall and floor tiling is Mark Scott from City of Glasgow College. Mark won the SkillBuild National Final, run in partnership with WorldSkills UK, last year and is also part of the squad currently training with the aim of competing in WorldSkills Kazan 2019 along with Daniel McBurney from Southern Regional College in Northern Ireland. Dave said: “We are delighted to provide support and sponsorship to the Mark and City of Glasgow College as he prepares for EuroSkills in Hungary. 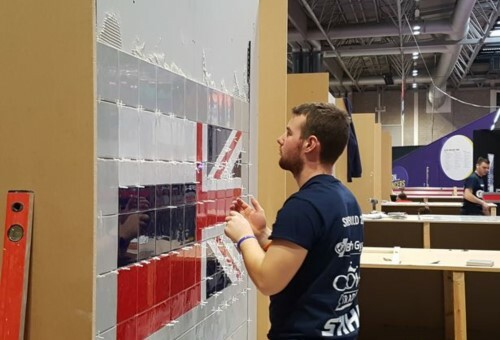 “At BAL we value training and innovation highly with more than 50 years of technological development and training experience behind us, so it is crucial to support competitions such as SkillBuild that help develop the skills of talented young tilers.